You can join this blog challenge too, whether you are a writer OR a reader! Just pick a favorite book off of your shelf (or a story you are currently writing) and click on the image below for info on how to join in on the fun! You can also join in on social media by posting your challenge answer with #ExploringNewWorlds added to your post!Come check out others who are posting their Day 13 Blog Challenge as well! 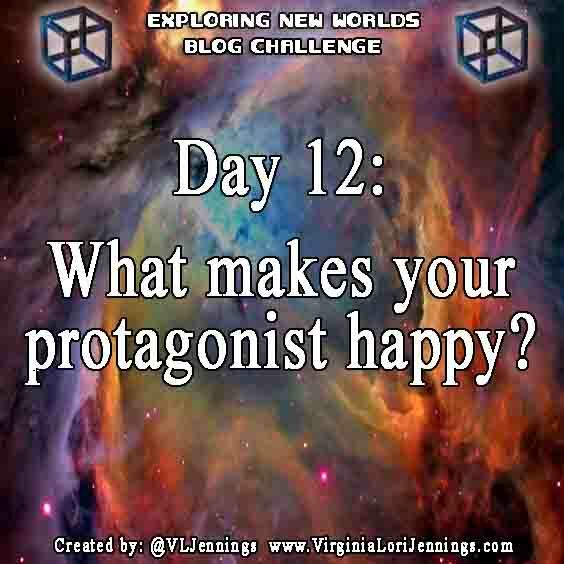 #ExploringNewWorlds Challenge Day 12 What makes your protagonist happy! Laurie Kingston: Some new circuit to diagnose, pull apart and fix. You can join this blog challenge too, whether you are a writer OR a reader! Just pick a favorite book off of your shelf (or a story you are currently writing) and click on the image below for info on how to join in on the fun! 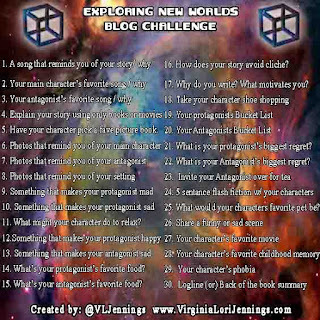 You can also join in on social media by posting your challenge answer with #ExploringNewWorlds added to your post!Come check out others who are posting their Day 9 Blog Challenge as well! Hmm, this is a fun one! How about something for each of the Star Traveler crew! Laurie Kingston, the main character in Visionary From The Stars loves learning in her spare time. When she is trying to relax you would most likely find her reading a book. She has gone for walks on the beach with her friend Chris when she really needed to get out and get some fresh air though. Chris' idea of a good relaxation activity is to play video games, though he has had little time to play since he and his father have moved to the new colony on Exandra. Instead, he spends most of his time hanging out with Laurie and heading off to solve disagreements with the ECOPS. 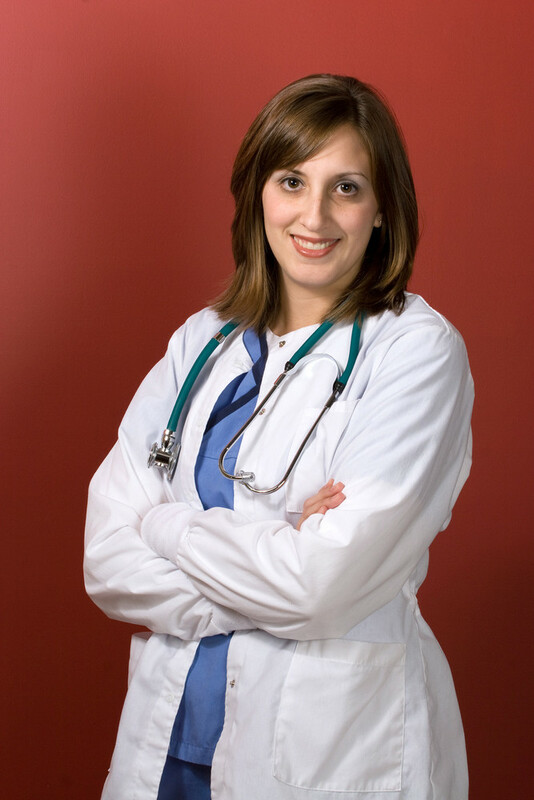 Dr. Kingston, Laurie's mom, is slightly ocd and prefers to find something to organize while she is trying to relax. She has been known to ask the computer to scramble the entire colony's medical database just so she could alphabetize the entire thing by hand when she is really on edge. Dr. Kingston: "Hey, that's not fair! We were under a blizzard warning!" Eli Kingston, Laurie's father, prefers to listen to classical music while he is trying to relax. He says it reminds him of the wind blowing through the leaves. Dr. Eric, his idea of relaxation is dragging his telescope out to stare at the stars just for fun. You can join this blog challenge too, whether you are a writer OR a reader! Just pick a favorite book off of your shelf (or a story you are currently writing) and click on the image below for info on how to join in on the fun! 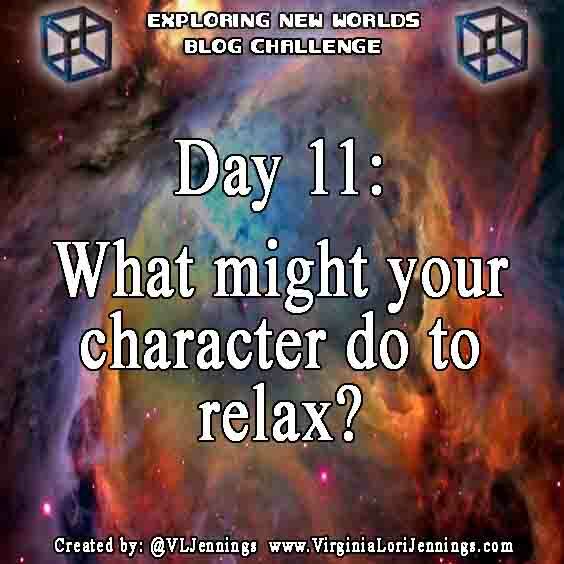 You can also join in on social media by posting your challenge answer with #ExploringNewWorlds added to your post!Come check out others who are posting their Day 11 Blog Challenge as well! 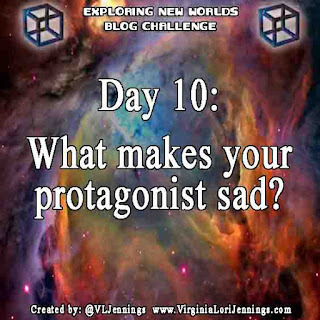 #ExploringNewWorlds Challenge Day 10 What makes your protagonist sad. Laurie Kingston is a typical young girl. She gets sad over having to leave her friends. She mourns the loss of her friends when a few of them get killed. She has a big heart and always wants to help others, which is why she joined Exandra's Caretakers Of the Peace, or ECOPS for short. She doesn't like seeing others argue and always wants to find a solution that will suit both sides. You can join this blog challenge too, whether you are a writer OR a reader! Just pick a favorite book off of your shelf (or a story you are currently writing) and click on the image below for info on how to join in on the fun! You can also join in on social media by posting your challenge answer with #ExploringNewWorlds added to your post!Come check out others who are posting their Day 10 Blog Challenge as well! 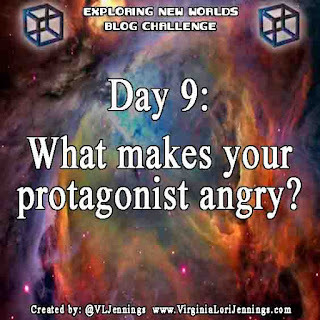 #ExploringNewWorlds Challenge Day 9 What makes your protagonist angry! Laurie Kingston is pretty level headed, she doesn't get angry much but others being stubborn can sure get under her skin! But here... don't take my word for it, see for yourself! We must make it, we must, Laurie thought to herself. “Hopefully they can’t climb trees,” Chris muttered to himself. If only we can make it to the edge of the marsh, mused Tarpin. 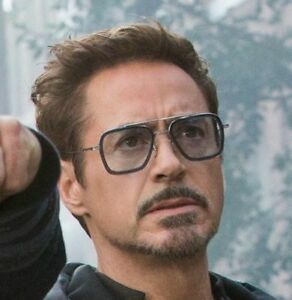 He had a plan. It was a narrow escape when they finally reached the marshland. “Climb the marshland trees!” Tarpin yelled over the hollering of the Platonians. Immediately Chris and Laurie grabbed hold of a tree and started climbing. Tarpin climbed up after them. They were hardly in the middle branches when out of nowhere came a band of one hundred Squirrels. The Platonians were close on the heels of the refugees and nearing their hiding place. In the branches of her tree Laurie fought back a giggle when she spotted a few of the Platonians jumping away quickly from the areas where the ground was the soggiest. The mud was soon the least of the Platonian’s worries once they heard the distant war cry of the Squirrels. Stunned they froze in the path and watched in horror as the band of Squirrels descended on them, through the treetops and on the ground. The Squirrels had spears, slings, and knives brandished high. The Platonians, knowing the reputation of these fierce warriors, turned and ran out and away from the marshlands as quickly as possible. The Squirrels stopped at the edge of the marshlands and watched the Platonian retreat. “We thank you and your tribe for saving us from that murderous tribe of Platonians,” he said, smiling. Startled from the voice behind their lines, the chief turned to face his new menace. “What do you mean ‘saved you’? What are you doing here?” The Squirrel chief demanded. “No,” the Squirrel chief answered deftly. “I know otherwise!” Tarpin growled. “EOE stands for Explorers of Exandra. We were on a mission to explore, not conquer!” Laurie exclaimed, quite consumed with anger and frustration. Chris laid a hand on her shoulder. “The young one speaks the truth,” said Tarpin, his face stern. “How can you be so sure; you were not here when the humans came!” The Squirrel chief accused. “These two were,” Tarpin answered. “It is called trust, thou who have none,” Tarpin said sternly. “Ha, trust,” the chief mocked. Laurie knew that neither the chief nor the Squirrels were convinced that the EOE team had not come to the marshlands to cause them harm. Laurie was still quite aggravated with the Squirrels, but now she had an idea. She took her MTD out of her pocket and began pressing a few buttons. 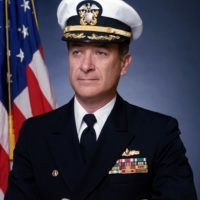 Chris looked over her shoulder curiously; Tarpin was still arguing with the chief over whether or not the members of the EOE team were conquerors or explorers. After having finished, Laurie walked over to a stump of a tree and set her MTD down on it. It looked very tiny sitting open there, with its blue screen glowing slightly. She turned it toward the others, who now stared at her with suspicion, wondering what she was doing. She pushed a little blue button on the side of her MTD and stepped to the side. The Squirrels gasped and muttered in surprise, a light shone from the MTD on the tree stump. Two feet away from the screen, a hologram began to flicker and then the image became steady. It was a 3D map of Exandra. It showed in detail all the hills, valleys, rivers, and wooded areas that the EOE team knew of before they started on their trek. Most of these things on the map were from the information Trib had given them. Nevertheless, there was still a vast area of Exandra that not even the Laskonians had explored; these areas were blank on the 3D map. The team had set out to explore a certain piece of this unknown land. Laurie showed and explained to the Squirrels the map and the team’s detailed plans for exploring more of the blank areas on the map. Trying to persuade the Squirrel chief that the EOE team had not come to conquer the Squirrels, she insisted that the members of her team did not even know the Squirrels lived here. “If we knew you were here, don’t you think we would have ignored this area?” She asked. “Not if you were coming to attack us,” the chief answered. Laurie shut her MTD off and closed it. “Oh, you are hardheaded!” she exclaimed. “Don’t you think that if we were trying to attack you we would try to come undetected and not walking out in the open?” Laurie said, exasperated. “Or what about the fact that if we were attacking you we would have brought weapons; we were unarmed when you ambushed us,” Chris added. The Squirrels just looked at the two children blankly. “If you still don’t believe us, why don’t you ask our group why they were headed here?” she exclaimed. “That is a capital idea,” said Tarpin. “Humph. Oh, very well,” the Squirrel chief answered. 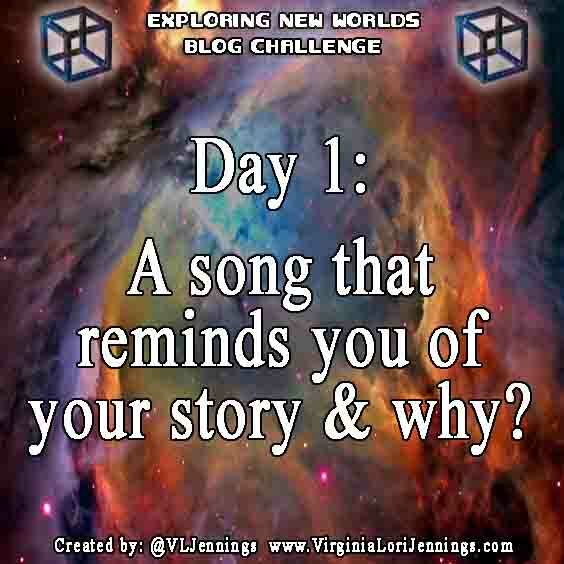 Exploring New Worlds Blog Challenge Day 8 Photos that remind you of your book's setting! You can join this blog challenge too, whether you are a writer OR a reader! Just pick a favorite book off of your shelf (or a story you are currently writing) and click on the image below for info on how to join in on the fun! 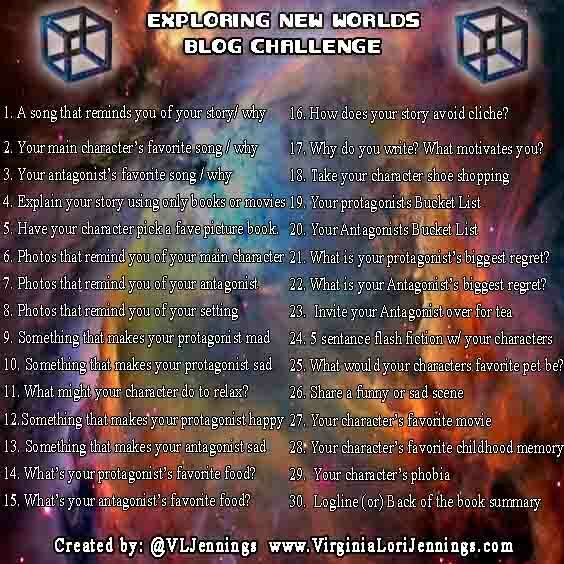 You can also join in on social media by posting your challenge answer with #ExploringNewWorlds added to your post! So... here are some photos that remind me of some of the settings in Visionary From The Stars... Thank you Pinterest! 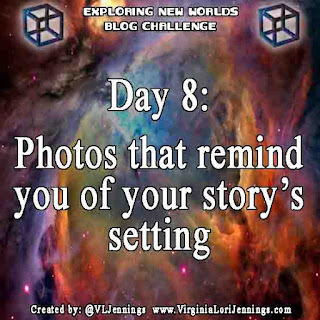 Come check out others who are posting their Day 8 Blog Challenge as well! 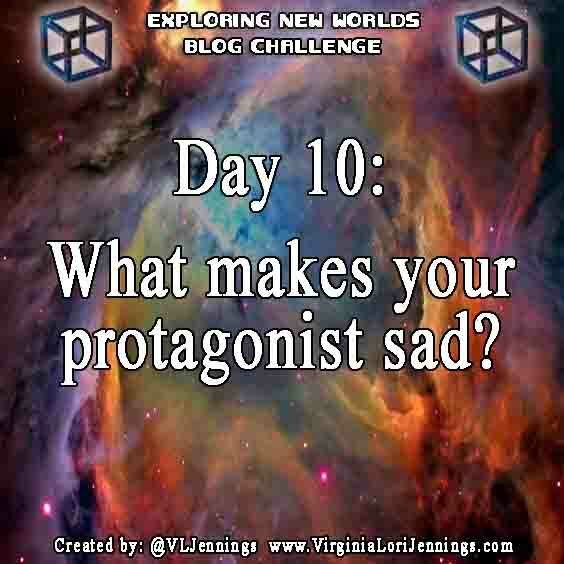 Exploring New Worlds Blog Challenge Day 7 Photos That Remind Me Of The Protagonist! You can join this blog challenge too, whether you are a writer OR a reader! Just pick a favorite book off of your shelf (or a story you are currently writing) and click on the image below for info on how to join in on the fun! Or you can join in on social media with #ExploringNewWorlds! 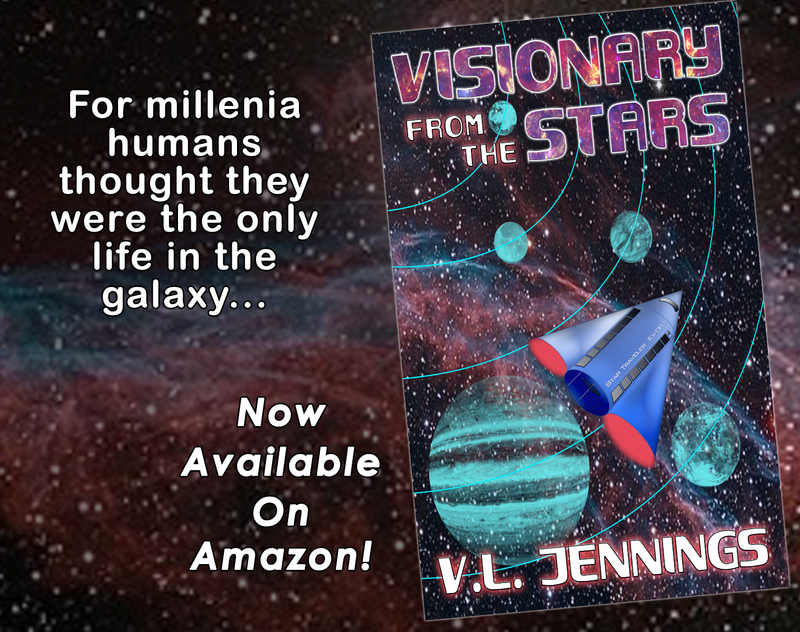 So today I will be sharing with you some images that assisted me while creating the Platonians in my newest release, Visionary From The Stars! The Platonians are 'lizard like' aliens with thick scaly bodies and long tails. They also sport sharp pointy teeth. Also, while they may be my antagonists, there is also a group of them that actually help our Star Traveler team! 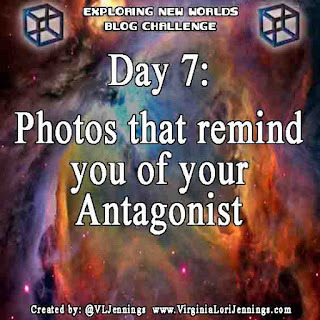 Come check out others who are posting their Day 7 Blog Challenge as well! 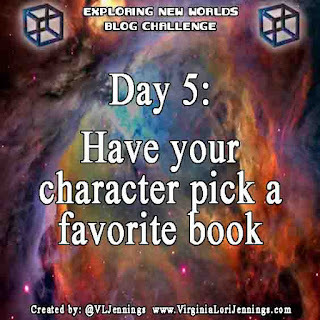 Exploring New Worlds Blog Challenge Day 5 Find your main character's favorite book! You can join this challenge too! On a blog OR on social media,whether you are a writer OR a reader! Just pick a favorite book off of your shelf (or a story you are currently writing) and click on the image below for info on how to join in on the fun! 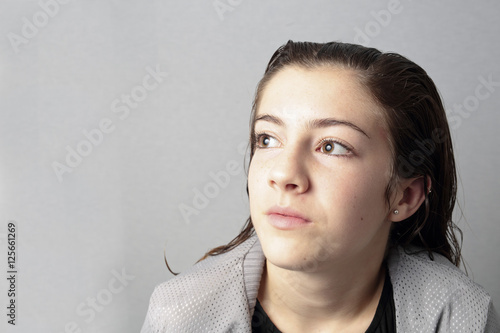 Laurie Kingston is the Main Character in my book Visionary From The Stars. Getting her to pick just one favorite book was like pulling teeth without novocaine. Laurie: YEAH! What he said! Me: I still need you to pick one... I have to head to bed SOMETIME here! Me: You remember how tired you were during your first mission after you were so nervous the night before that you didn't sleep? Remember having to take a nap before you flew through the meteor field? Me: Well then you know what it is like! Me: Oh, interesting choice. I've not read that one since I was a young girl. Me: O.o somehow I think that is cheating. Laurie: Take it or leave it. Laurie: Earth an many of the other human colonies have become so tied to technology. When I found out that Exandra was going to be built more rural, for those that wanted to farm or study nature... I wanted to do some research into what the early settlers went through. I really enjoyed the detail put into those books. Me: Hmm, ok good answer! 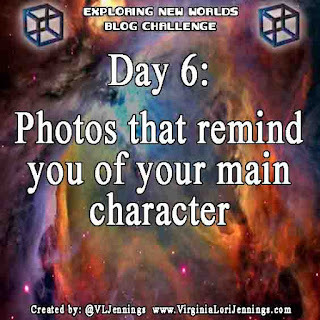 While you are at it... Come check out others who are posting their Day 5 Blog Challenge as well! Exploring New Worlds Blog Challenge Day 4 Explain your story using only OTHER books or movie titles! You can join this challenge too! On a blog or on social media, whether you are a writer OR a reader! Just pick a favorite book off of your shelf (or a story you are currently writing) and click on the image below for info on how to join in on the fun! I would describe Visionary From The Stars as a mix of Brian Jacques' Redwall crossed with Star Trek or even Stargate. 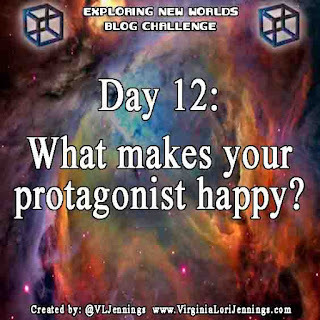 Curious as to how others would describe their stories? While you are at it... Come check out others who are posting their Day 4 Blog Challenge as well! 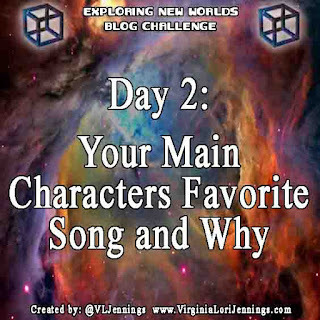 Exploring New Worlds Blog Challenge Day 3 Find your bad guy's favorite song! You can join this challenge too! On a blog or on social media, whether you are a writer OR a reader! Just pick a favorite book off of your shelf (or a story you are currently writing) and click on the image below for info on how to join in on the fun! 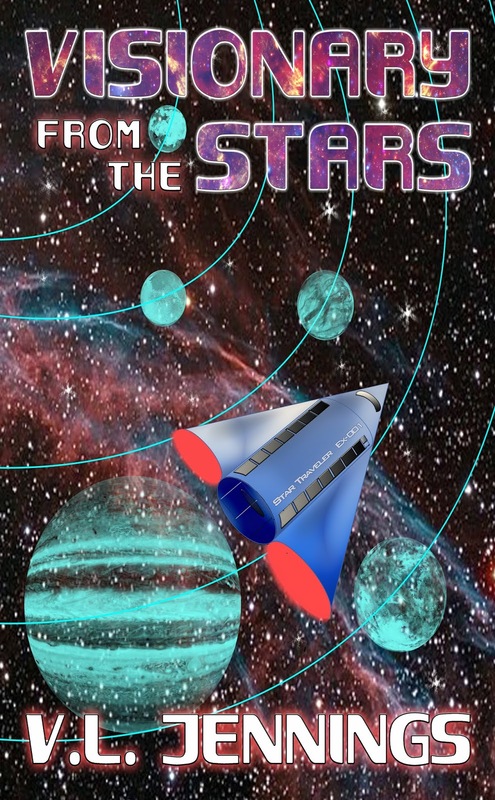 The Platonians, specifically their Military Guild, are the Antagonists in my newest release Visionary From The Stars. They have spent so many years trying to stop others from finding the cylinder relics, it is a shame really. Many of their kind have become disenfranchised with the way the Military Guild has been doing things... they've taken to living in secret cities to escape being drafted into a battle they feel is unnecessary. Ho Boy... awfully sure of themselves aren't they. They do end up blowing up a few ships with our friends onboard so... I think I'll step out of their way for now. Interested? Come grab your copy of Visionary From The Stars Today! 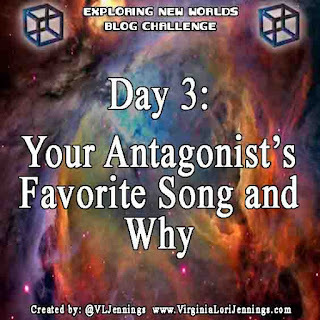 While you are at it... Come check out others who are posting their Day 3 Blog Challenge as well! 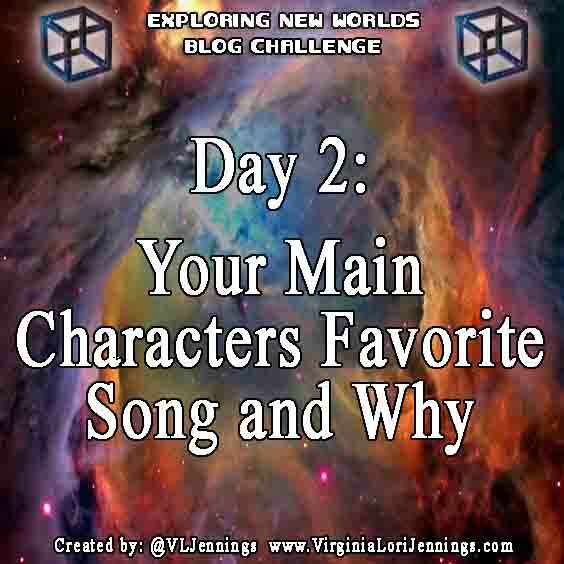 Exploring New Worlds Blog Challenge Day 2 Find your main character's favorite song! You can join this challenge too! On a blog or on social media, whether you are a writer OR a reader! Just pick a favorite book off of your shelf (or a story you are currently writing) and click on the image below for info on how to join in on the fun! Me: Laurie, can you tell us why you like this one? 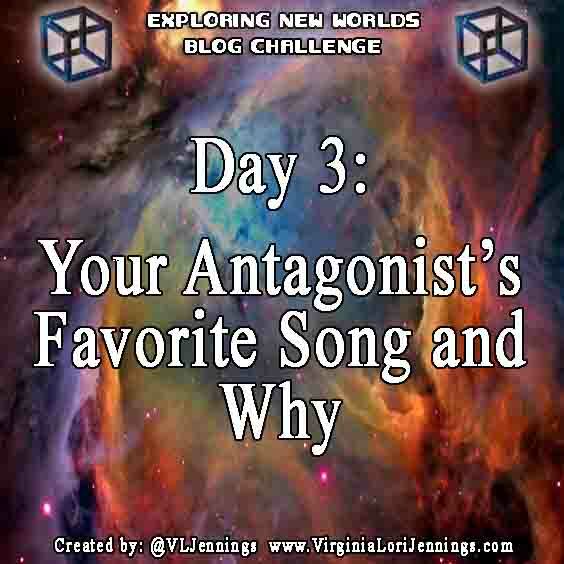 Laurie: Sure, it works great as a memory exercise, trying to remember all the words to this one is challenging. I also like how they managed to weave all that history into just one song. She's an odd kid lol. 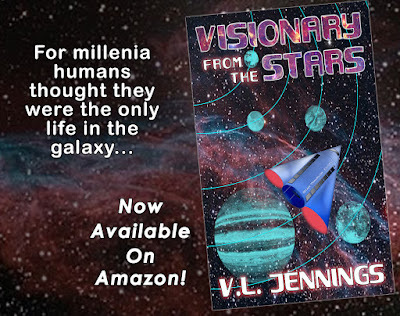 If you are even remotely interested in ordering a copy of Visionary From The Stars for yourself you can find it here: Visionary From The Stars On Amazon! 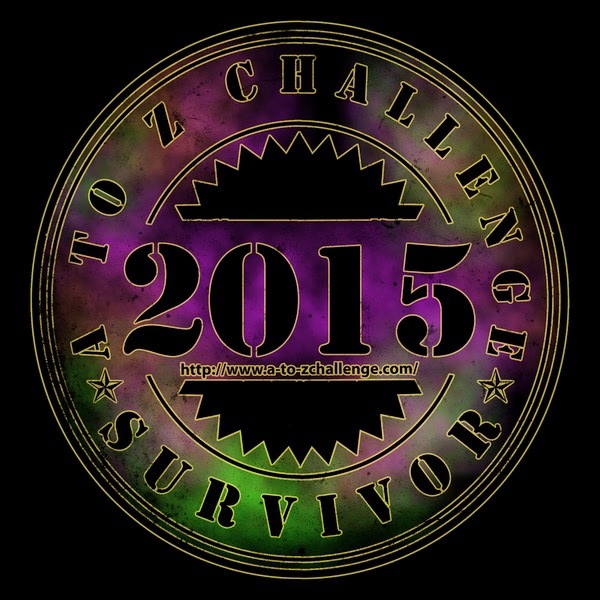 While you are at it... Come check out others who are posting their Day 2 Blog Challenge as well! To kick off this month's Exploring New Worlds Blog Challenge, I will be trying to match my newest release to a song that reminds me of it. You can join this challenge too, whether you are a writer OR a reader- on your blog OR on social media! Just pick a favorite book off of your shelf (or a story you are currently writing) and click on the image below for info on how to join in on the fun! As I mentioned, this month I will be exploring my newest release, Visionary From The Stars... Oh Wait! You guys haven't seen the cover yet! Well today is your lucky day! There you have it folks! A Shiny new cover! 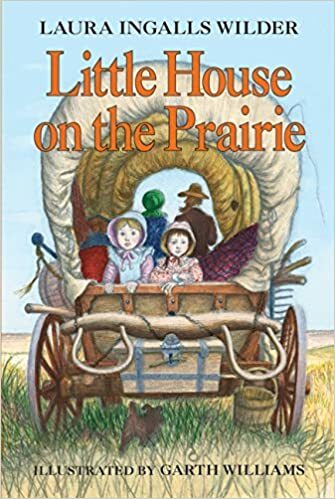 This one probably because I was watching this series pretty seriously when I was doing the bulk of the story building for this book. This one... Not sure, it has always resonated with me. 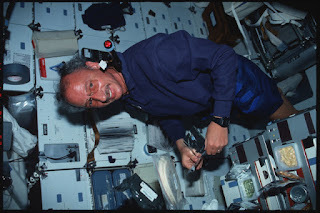 It helped me get a handle (or as much of a handle as my earthbound self could possibly hope to get) on the helplessness an astronaut might feel in space when something goes wrong. You can find Visionary From The Stars out on kindle today!!! While you are at it... Come check out others who are posting their Day 1 Blog Challenge as well!